24th February is always a special day for Estonia. This year it celebrated the day 95 years ago when the Estonian republic was first formed. Some took the day seriously, going to one of the local parades or celebrations dotting the country, or watching festivities on ETV, the national TV channel. Some went about their normal day, making dinner or watching movies with friends. Others would have been working – it’s a national holiday, but this is a country of incorrigibly hard working people. Although I have been in Estonia for two independence days, this is the first year I had most of the day to myself. I thought, rather than write about the history or the politics of this significant day, both of which have been covered in substantial detail on other people’s blogs, I would take a step back and reflect on my changing impressions of Estonia. Maybe my feelings have changed like someone in a relationship. When I visited, twice, as a tourist, it was like dating someone. After a whirlwind romance, I decided to move in, in June 2011. To begin with, it was the serotonin rush of excitement at being in Tallinn, the city I fell in love with back in 2010 when I was still a little bit emotionally broken, that kept me going. Later, as the daily grind set in and the sun stopped coming out every day, I realised I was here for the long haul. Having not come with a girlfriend or any family, I was on my own, save for a few kind people who seemed to enjoy my company. It was hard, and yes, I began to project my frustrations onto the place I had once loved unconditionally. I looked at the sour faces on every public transport, the people who cursed me for putting shopping in my bags too slowly, and I lost belief in my ability to integrate. Somewhere in 2012, though, things turned around for me. Perhaps I proved to some people I was around for longer than they imagined. Maybe some people’s attitude changed towards me. More likely, though, I just became more attuned to the culture I had always been trying to learn about. A wise man told me to stop trying to please others. As soon as I managed this, social gatherings became more fun, I started opening up to people about how I actually felt, rather than just putting up the standard barrier of saying I was “fine” and offering faux-positivity. The people who took me under my wing when I first arrived in this pretty, unassuming corner of Europe are, by and large, still my friends. But once I forgave myself for my early errors and misunderstandings, I noticed a much larger group of people who wanted to get to know me, and could see beyond the fake joviality I had used as a front beforehand. So, what does this tell me about Estonia? This is not an easy place to live. If you want to be able to have beachside barbeques at 8pm in October, and lots of languid leisure time, go to Spain or Italy. 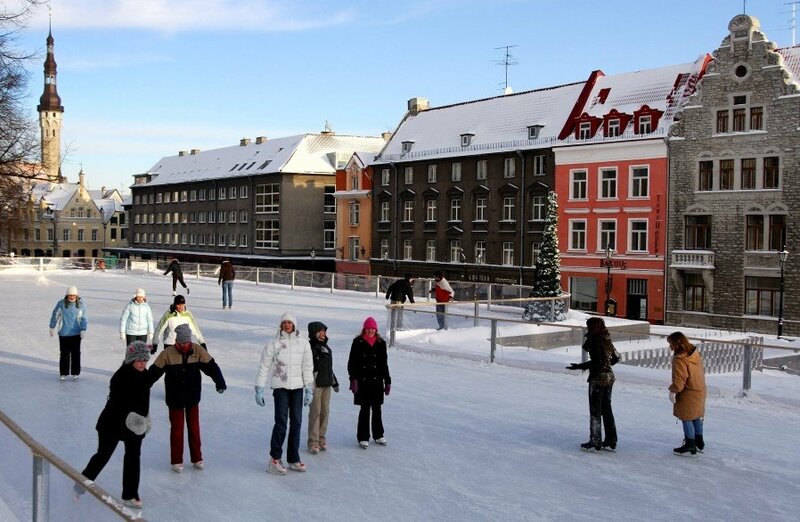 But if you settle in Estonia, you might find something far more rewarding after a while. You might find a place where, whatever the idea you come up with, no-one tells you “you’re crazy”, or “show us your qualifications” – and where life brings endless possibilities to develop your own potential. You’ll find many deep-thinking, intelligent people who are honest and, once they have ascertained they can expect the same from you, will walk over hot coals to help you if you have a problem. Many of these great friends have left Estonia, a sad reflection on the bare fact that it is a small country with a developing market, and a highly-qualified young person with three or four languages is going to do well in another country and will have a curiosity about the world that can only be cured through discovery. I’ve cried a couple of times, I’ve occasionally envied my friends’ new surroundings on seeing pictures on Facebook, I’ve wished they would come back – but most of all I’ve been glad for the time we spent together. Friendship doesn’t have national boundaries, especially in this era of digital communication. Our paths will cross in the future, and the feeling will be all the sweeter when it happens. Did I imagine that, nearly two years into my time in Estonia, I would be doing so many things, professionally and personally, that were so rewarding? That I would have had the chance to enjoy a fashion week in the front row, only a matter of weeks before interviewing my favourite singer? Or that I would be collaborating on a photoshoot for another of my interviewees? Or that I would be in training for a triathlon? No. All this, in 2011, would have seemed an unimaginably distant prospect. My love for life is back, as is my love for Estonia. Maybe the latter never went away. Maybe it just changed from a giddy teenage love that ignored the truth, into a love that recognises flaws, accepts them, and does not forget the good things all around me, the reasons why I am incredibly fortunate. “The universe is not so random,” a friend said to me. There is a reason why I came here, beyond a job offer or a quest for adventure. Maybe I’m beginning to find out what that is. Or maybe not. But I’m having fun trying to solve the puzzle. Happy Birthday Estonia. Whatever you’re doing, make the most of a happy day, and, most importantly, do what you feel like doing. This article was first published by Stuart Garlick on his website, Charm Offensive. Front page photo: Toomas Volmer/Tallinn City Tourist Office. Stuart Garlick is a British writer, journalist, blogger, cartoonist and English teacher based in Tallinn. His primary interests are music, fashion, design and culture. He set up his website Charm Offensive in 2012 in order to showcase to the world the exciting new developments in culture in Estonia. Stuart graduated from Aberystwyth University with a Masters in International Politics.